Captain Engen had most recently resided at 12744 Blueberry Way, Culpeper VA 2701. Harvey Theodore Engen was born April 24, 1926, in Clam Falls Township on a farm near Frederic, Wisconsin to Lars and Myrtle Nykreim Engen - the first of seven children. Harvey attended Frederic Elementary and High Schools. After graduation he worked as a shipyard welder in Superior, Wisconsin. While there, he learned to fly. But it was also in Superior, while enjoying an ice cream at the local ice cream parlor that he noticed Shirley Biederman, a classmate from Frederic High School whom he had admired. He and Shirley began dating and eventually married in Frederic on June 10, 1948. Harvey and Shirley had four children, Sherrie, Steve, Marcia, and David. In 1946, Harvey joined the Air Force and obtained his commercial pilot's license. In 1951 he obtained his instrument rating and started working for Northwest Airlines loading baggage and fueling planes. Later he began flying for Northwest Airlines as copilot, eventually flying all over the world as captain on the DC10 and B747. He retired in 1986 after 35 years with Northwest. Harvey always said he thought he had "the best job in the world." In their 64 years of marriage, Harvey and Shirley enjoyed their family, church work, traveling, and photography. They took many "photo safaris" to photograph and explore natural wonders and American history. Shirley preceded him in death last October. Harvey's last day on earth may have been one of his most enjoyable. He went camping at Claytor Lake, Virginia with son, Steve, and his family - four generations. Harvey spent the day happily photographing the family as they canoed and swam and great-grandson, Cedric's baptism in the lake. That evening, they talked by the campfire and Harvey was the last to leave, staying to watch the fading embers. Later that night he suffered a fatal heart attack. Harvey enjoyed his work, home, family, nature, and his active retirement. He was friendly, generous, hospitable, loved to laugh, loved ice cream, had a deep faith in God, and was a man of strong work ethic and high integrity. He continually prepared for the future. He had the gift of acceptance and the courage to change what he could, and a gift for enjoying life. He inspired us. A funeral service will be held for Harvey at the Clam Falls Lutheran Church, at 11:30 a.m. on Saturday, November 30, 2013. A graveside service for both Harvey and Shirley will be held immediately after the funeral service. Harvey Theodore Engen, 87, of Christiansburg, passed away on Sunday, September 8, 2013. Arrangements with Horne Funeral Home of Christiansburg, Va., 540-382-2612. Mrs. Shirley Ann Engen, 87, Culpeper, Virginia, went home to be with the Lord on Thursday, October 25, 2012. Mrs. Engen was a former teacher and as such, she had an innovative, faith-based lesson plan for life. 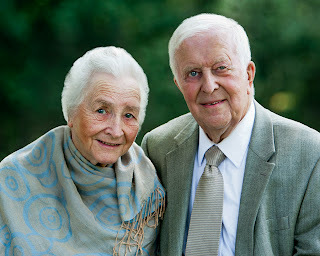 Mrs. Engen was born on August 12, 1925, in Wisconsin, to the late Arnold and Ruth Johnson Biederman. In addition to her parents, she was predeceased by brothers and sisters. Mrs. Engen was a beloved wife, mother and grandmother and is survived by her husband of 64 years, Harvey Engen of Culpeper, Virginia; daughters, Sherrie Mack of Chicago, Illinois, Marcia Vixie of Wenatchee, Washington; sons, Steve Engen of Culpeper, Virginia, and David Engen of Ogden, Utah; five grandchildren and three great-grandchildren. A memorial service will be held at the Culpeper Christian Fellowship, 15460 Bradford Road, Culpeper, Virginia, 2 p.m. Sunday, October 28, 2012. It is the family's desire that memorial contributions be given to the Culpeper Christian Fellowship Building Fund. Clore-English Funeral Home has been entrusted with these arrangements. 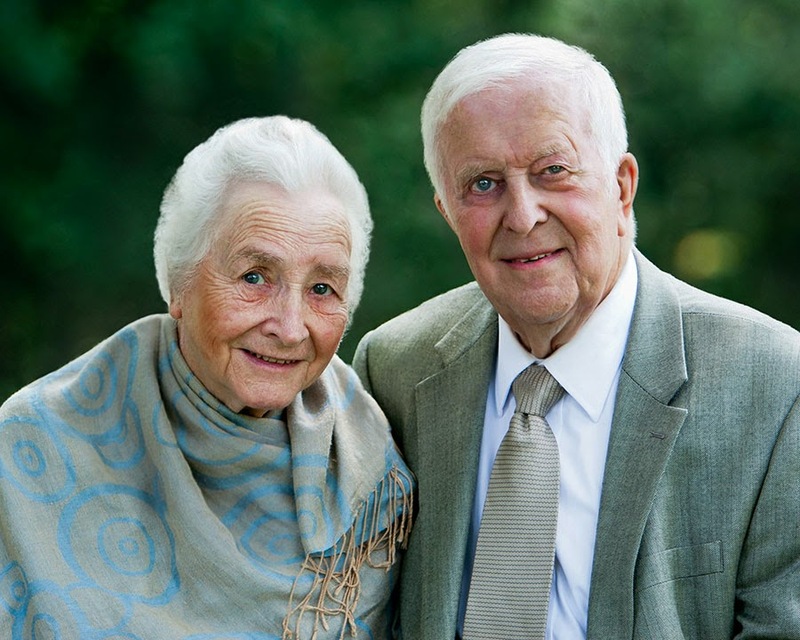 Harvey and Shirley Engen spent more than 50 years traveling, photographing and researching in the pursuit of Shirley's passion of writing a Christian homeschool curriculum centered around the language arts. Harvey & Shirley met in high school and married shortly after college. Harvey, who served in the Air Force, was a pilot for NorthWest Airlines for 34 years. During his last year with NorthWest, Harvey began volunteering as a pilot with Mercy Medical Airlift, eventually logging over 28000 hours. Shirley graduated from Superior State Teachers College in Superior Wisconsin with a Bachelors Degree in the major of Education, and minors in Art and Music. She has a Masters in Photojournalism from Regent University, and published her thesis, “Vision Airborne”, a photo-documentary of Mercy Medical Airlift, for whom Shirley functioned as photographer for a number of years. Some of her photographs were used in the book "Angel Flight Mid-Atlantic" by Suzanne Rhodes. Shirley taught for a number of years and was especially successful with learning-challenged children by engaging their interests with visually-based teaching. Shirley published “Greenhouse Unit for the Kindergarten” in Instructor Magazine during the time she was teaching. In the early Sixties, Shirley had a passion for teaching and a vision for a Christian-based curriculum that would help people of all ages to learn and understand the English language. Harvey, who also has a passion for photography, completely supported, encouraged, and assisted in making her vision a reality, and together they have traveled all over the United States, as well as to Norway, Canada, Japan and China. Sadly, for all who loved her, Shirley went to be with the Lord on October 25, 2012. She is missed terribly. Harvey is doing well, and continues to pursue publishing Shirley's work.